We use Pine and Spruce shafts to make our arows. Shaft sizes are 5/16" and 11/32" we do not use 9/32" shafts. All shafts are weight and spine checked using AMO system. Arrows are made to suit the archer and bow. We need to have details regding your draw lemgth / bow weight and your bow length and construction and any other other specific requirements. See below for information required. Please note that we can supply arrows for English longbow shooters with draw weight starting from Approx 30 / 35 Lb to 65/ 70Lb and arrows lengths from 26" to 31". 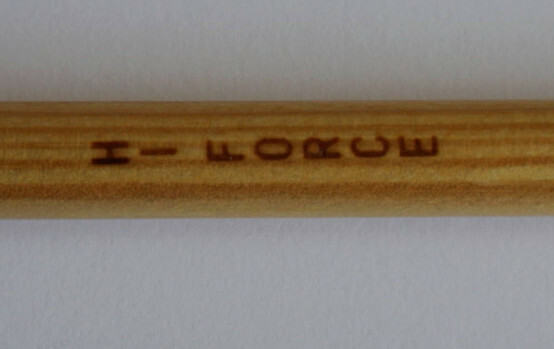 All shafts are marked with Hi Force brand. Arrows are made to suit the archer and bow. 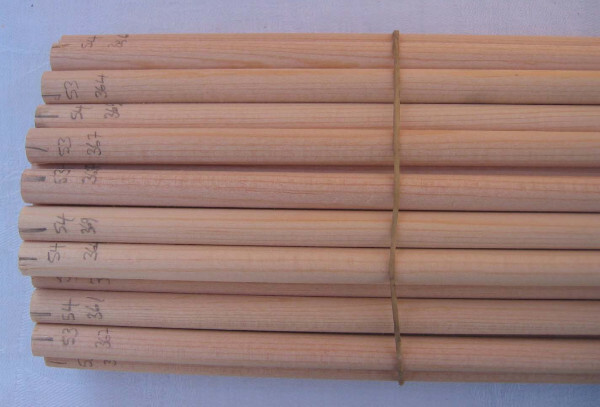 We can supply arrows in matched sets starting from 4 off this can help if experimenting. The following minimum information is required before we can make a recomendation. Arrow length required measured from slot in nock to rear of pile. Draw weight at your loosing draw length. This can be estimated by adjusting the weight by 5% of the bow weight per inch of draw length + or - the bows marked weight. Bow Length nock groove to nock groove. This allows us to estimate the arrow spine. If you prefer to specify the spine of the shafts please also provide arrow length and pile weight. Please request our specification sheet which summarises the details required. Remember if you require us to copy your existing wooden arrows we can also do this , please contact us first before sending arrows. We supply Matched arrows in two levels of accuracy. Matched and Tournament matched. For a first set of arrows we recommend Matched standard and for more experienced archers Tournament matched arrows.